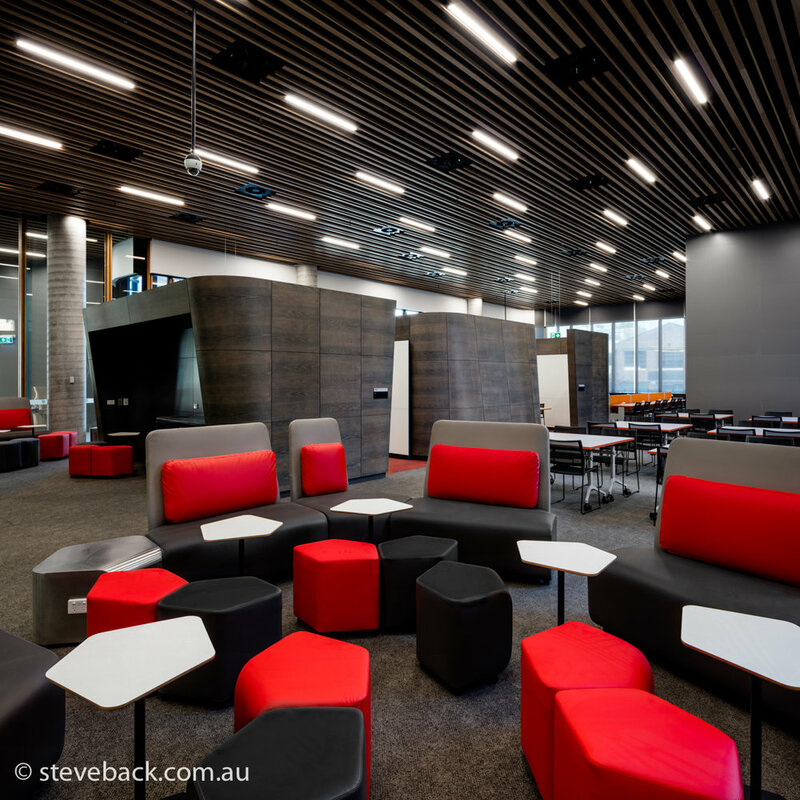 Another shoot for John Holland, this one just down the road at the new University of Sydney Business School. A very impressive building over 5 levels with a lot of great elements to shoot. 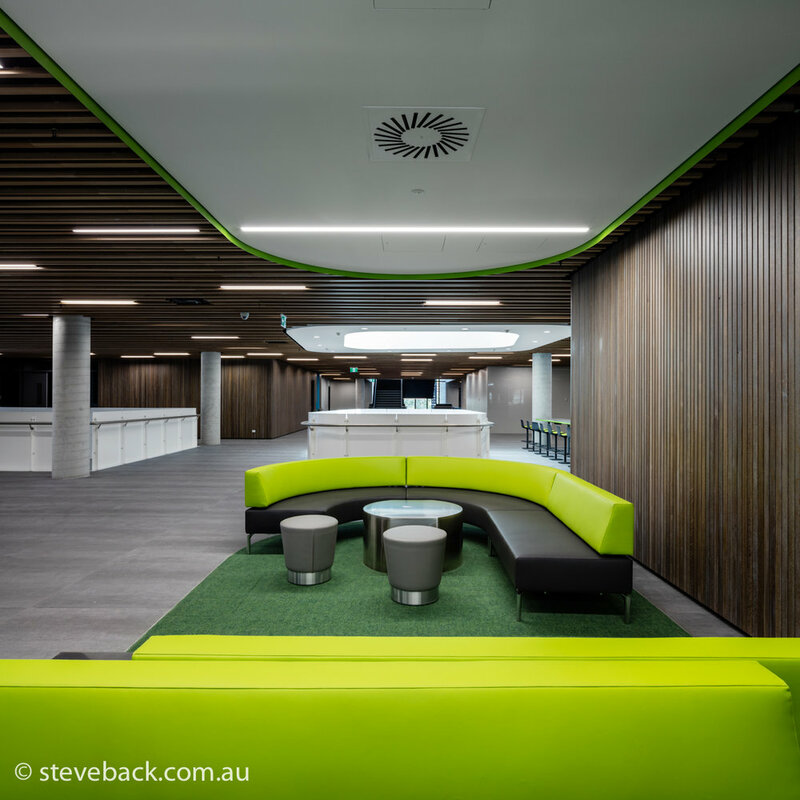 The shot through the atrium to the green chairs is straight to one of my favourite all time architectural shots.